The Instant Pot: Is it all that it’s hyped up to be? I am the Bizarro of Betty Crocker. My poor mother tried. She would call me into the kitchen in hopes of domesticating me. “I’m studying now, Mom!” I received high marks in school, but never really learned how to cook (or sew for that matter). It is a miracle that Billy married me lol. About 8 months ago, Billy had “the talk” with me. 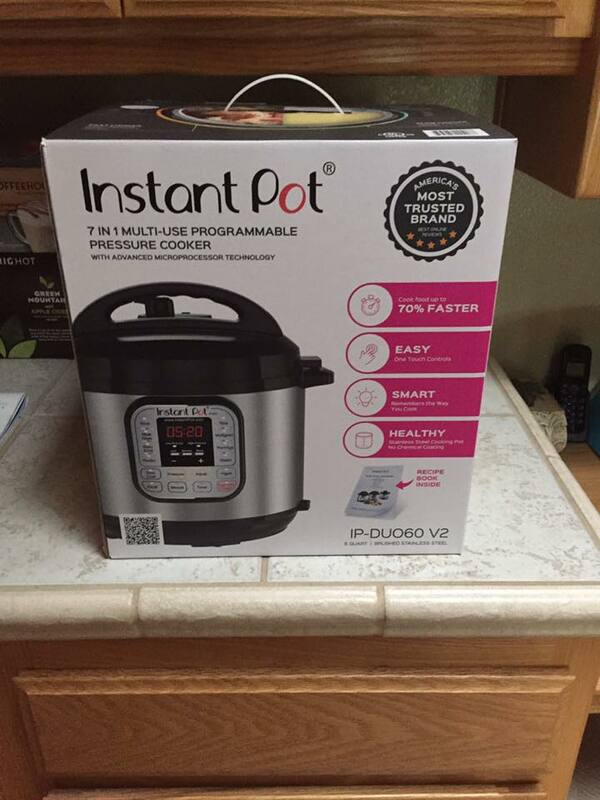 I remembered my friend Tonya had posted about her new-fangled kitchen appliance, the Instant Pot. She excitedly shared all the features of her model, and she proudly posted pictures of her easy, delicious Instant Pot mashed potatoes. I was intrigued. 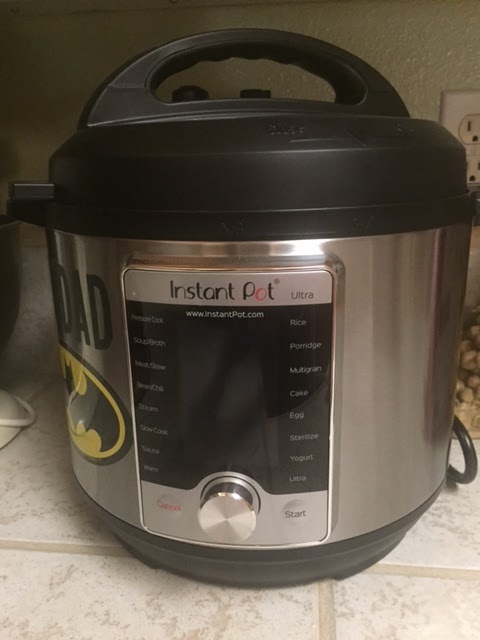 I began reading online reviews and asking friends to see who knew about this Instant Pot. Then I joined the FB group the Instant Pot community. What an eye opener! This community boasts over 600,000 members, who share their Instant Potting adventures. After reading multiple posts about how this kitchen appliance was literally changing lives, in February, I opted to buy one myself and to put it to the test. 1. You must get past your fear of using your new Instant Pot. The box that it comes in is huge and somewhat intimidating. Even the manual is a bit thick. DON’T (and I repeat) DON’T let it sit on your counter. Procrastination is not your friend in this situation. I know people who have let their Instant Pot “marinate” in the box for a year or more. *Realize, this isn’t your mother’s or grandmother’s pressure cooker. It will not blow up. There are safety features to avoid this. *It is super-duper user friendly, thus all of the You Tube videos of pre-teens using it (supervised). If you just can’t bring yourself to do the initial water test (the recommended test to ensure your IP is able to come to pressure), watch this Youtube video about how to do a Water Test Demo , ask a friend to “be there” while you conduct the test, or contact me for IP (Instant Pot) support! You are missing out on precious Instant Potting moments the longer you let it sit. Pull off the Band-Aid! 2. You must have realistic expectations. It’s not called the Miracle Pot. The beauty of the Instant Pot is its convenience and multiple features. It can replace several other kitchen appliances: pressure cooker, rice cooker, and slow cooker. You can cook everything from healthy to comfort foods; meals, desserts, sides, dips, soups, eggs; meats, pastas; every type of ethnic food; yogurt; cheesecake; and more! You can cook multiple items at one time. You can prepare meals for that day or to freeze. YOU DON’T HAVE TO “BABYSIT” IT! Set it and forget it! It is also very easy to clean. Now, the time factor. I’m going to be real. You see those insanely short cook times, and you wonder, “Does it really only take 5 minutes to make hard boiled eggs in the Instant Pot?” Not exactly. The recipes can’t factor in the time it takes for the Instant Pot to come to pressure. Every Instant Pot varies a little. It is important to realize that even though it will save you time when cooking a lot of things, it won’t on some things. Sometimes it will take the same amount of time. Especially if your pot is very full. Also note that some recipes require the pressure to be released “naturally,” and this takes a little more time as well. I have two go to FB pages that I find Instant Pot recipes: Pressure Luck and Adventures of a Nurse. I have to admit that I have tried more Pressure Luck recipes than Adventures of a Nurse, but I have never been disappointed with any of their recipes. They are super straightforward, easy, and delicious! There are other Instant Pot recipe bloggers who I have tried one or two recipes, but I don’t feel comfortable recommending them without trying more of their recipes. I have quite a few recipe bloggers I am currently checking out. If I can’t find a particular recipe on one of my go to sites, I will inquire on the Instant Pot Community FB page, but I always ask for “tried and true” recipes. Sometimes you will notice weird cooking times in some Instant Pot recipes that just don’t make sense. I have tried to cross-reference, but that can be time consuming. Also check out Pinterest for lots of Instant Pot recipes! I am learning how to create my own recipes by converting regular recipes to Instant Pot recipes, or combining a couple of Instant Pot recipes to better align with our personal preferences. 4. The Instant Pot can help you lose weight! Billy and I have lost a combined weight of nearly 50 pounds! You can probably see the various ways the Instant Pot has helped us lose our weight. First, we are eating out A LOT LESS. In addition to this, we are eating more healthy, whole foods. More veggies, chicken, vegetarian meals, and subbing spaghetti squash “noodles” in place of pasta. 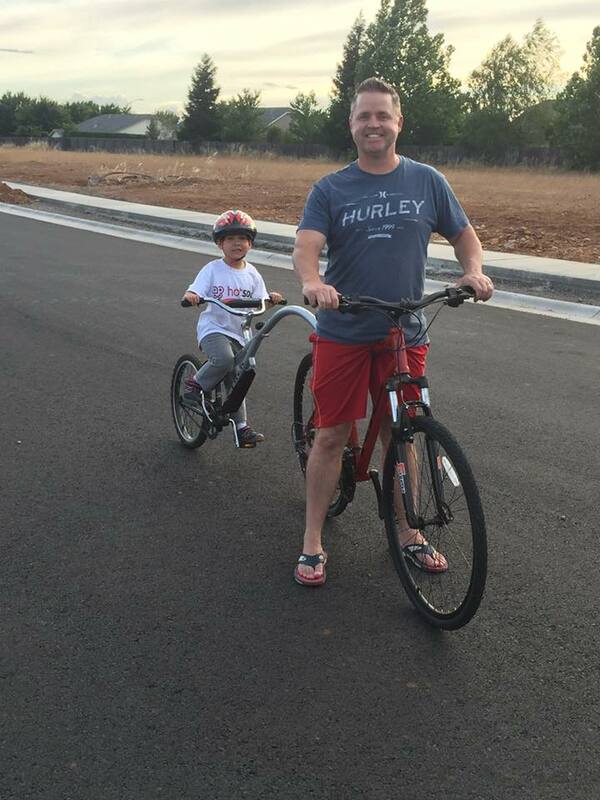 I also feel that dinner time is over a little quicker, and we have more time for bike rides, swimming, walks, etc. Yay, for more physical activity and memory making! 5. Be aware of the learning curve! The more you use your Instant Pot, the more comfortable you will feel about using it. If you read over the manual, choose simple “tried and true” recipes, and even watch a few demo videos, you will experience more success in your kitchen. Keep in mind some things are a bit trickier to cook, but you will get the hang of them with practice. For example, I’m still trying to figure out poached eggs. There are quite a few Instant Pot methods, and since egg size varies, it isn’t super straightforward. Even with frozen chicken breasts, you need to ensure that the center is cooked. You may need to increase cooking time a little if the chicken breasts are thicker. Don’t give up if you have a couple of failed outcomes! Never, ever, ever give up! The Instant Pot has not only simplified meal making in our home, but it has truly made cooking a more enjoyable experience for me. I no longer dread making dinners, nor am I intimidated to try new recipes. (Well, except yogurt lol. For some reason, I can’t bring myself to make it. Also, cheesecake, but that’s because of the calories lol.) I have a personal goal to try at least one Instant Pot recipe per week. It makes me so happy to prepare healthy, home-made meals for Billy and our son Liam. I never realized how rewarding that would be. I HAVE become domestic lol. If you are considering purchasing an Instant Pot, and found this helpful, please let me know. 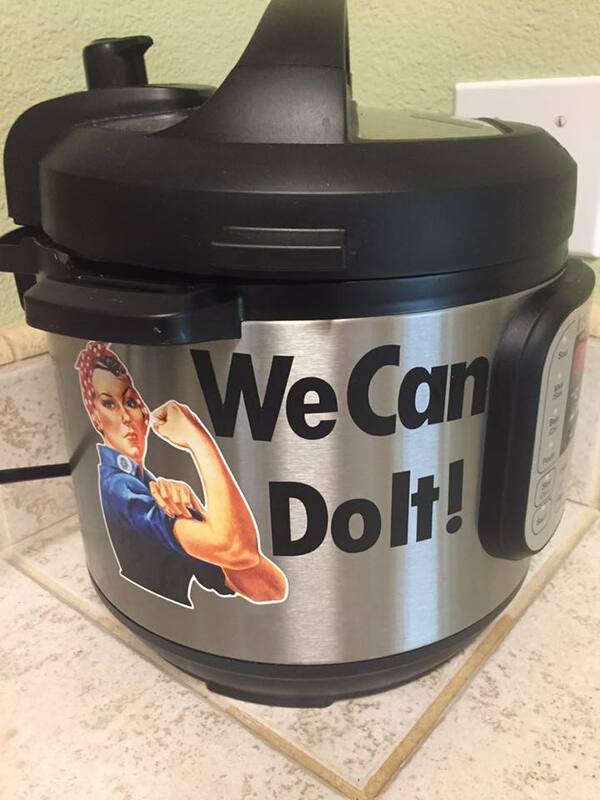 Or, maybe you have an Instant Pot already, and still found this to be somewhat informative, humorous, or relate-able, I want to know! Have a question for me? I would love the opportunity to answer it! Never hesitate to ask… or to comment! I love feedback! I’m considering writing a part two to this blog post to expand even further on the Instant Pot. This was really more of an introduction. The Instant Pot is just one of many tools/changes that Billy and I have made in the last seven months since beginning our “renovation.” Next week’s blog post topic will be a surprise. Here’s an added bonus: Jeffrey of Pressure Luck’s “I Just Got My Instant Pot Now What?” tutorial. This is a must see for every newbie! Great article on a wonderful appliance! I'm a fairly accomplished cook who has been cooking for 40 years. I just got an Instant Pot a few months ago, and have really been enjoying taking a different approach to preparing food. Anyone that I talk to who I haven't been in touch with for a while hears all about the Instant Pot! I am so glad you found my blog post helpful! I am so sorry that I am just responding to your comment. For some reason, I never saw an email notification about your comment! Mine has been in the box for over a year. The instruction book itself is overwhelming! That is how I felt about the instruction book-it’s a BOOK! That is why I have really tried to find youtube videos or bloggers who represent as Instant Pot gurus- Jeffrey at Pressure Luck, Adventures of a Nurse, Two Sleevers, etc. I do peruse the Instant Pot FB Community page regularly too. If you have any questions, just let me know! Enjoyed your thoughts immensely!! I have purchased many gadgets over the years only to be somewhat disappointed and later sold at garage sale or similar. We are empty nesters traveling now, travel nursing at that, and this interests me to give it a try!!! I love the great support community as well!!! Thank you!! Thank you, Helen! I have also purchased LOTS of appliances that I never ended up using. The Instant Pot is totally different! So user friendly, so many uses! I bet you would love it! The Instant Pot Community FB page is awesome, and so many Instant Pot bloggers are so personable and helpful. I think it’s worth a go for sure! The ULTRA is able to do a bit more than the DUO. It monitors the heating process digitally, has no push buttons, it has a sous vide option. I have both models, but started with the DUO. I’m still learning about the ULTRA. I think the DUO is easier to learn how to use, but honestly, both are very user friendly. Since it is just the two of you, I recommend the 6 QT. Unless you like to have a lot of leftovers through the week, or like to freeze meals. I am in the same boat! I’m about to purchase my first pot except I’m having a hard time choosing. I think I’m more interested in the Ultra (for the sou vied option) but I want an 8 qt size because I’m feeding a family of four (2 adults and 2 young kids) and we like some left overs for our lunches the next day. Would an 6qt be big enough??? Hi Kim, every family’s needs are so different! Since your children are young, you would probably be okay with the (DUO) 6 qt. It really depends upon how much leftovers you would like to have. Also, are you a family that likes to entertain a lot? Do you prepare/freeze ahead meals? Those are other reasons to consider an 8 qt. Just purchased my 6qut instapot. Because I have been seeing so many articles and posts about the pot. But I too have not yet taken it out of the box , because I found the manual to be so intimidating. Thank you for helping me to over come my fears. I now look forward to trying it out. Yay, Julie! I’m so glad you found my blog post encouraging! Happy pressure cooking! It is so great! 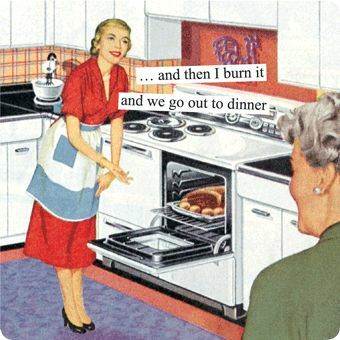 I never imagined how much it would help us out-just by making dinners alone more convenient! Thank you this was very helful for me . I just got a Instant Pot. I’m so glad that it was helpful, Barbara! It sure has a made a difference in the way we approach meals in our home! Happy cooking! Hi, we have two six qt DUOs being delivered tomorrow, one for me (experienced intuitive “method cook”, just me and my husband but we like leftovers) and one for my daughter (non-cook, scared of cooking, w picky husband and little kids). I’m intimidated, and if I am I know she will be. I got us each a cookbook, and it’s intimidating, 17 ingredients and 12 steps per recipe (hyperbole natch). Soooo….. I figure I’ll have her over and we’ll figure this out together. Her hubs likes wings and ribs ; maybe those first? And faux rotisserie chicken ? Suggestions? And is the 6 big enough given that we like leftovers, or maybe get an 8? Hi Pam! As a family of 2, you will have leftovers with a 6 qt! We have a good amount of leftovers as a family of 3. We loooooove ribs in the IP, and I tweaked a Chinese Pork tenderloin recipe and made it with chicken thighs-to DIE for! I found those recipes on Pressure Luck’s website. There is also a FB page. You will love how easy the recipes are, and so tasty! It never disappoints. I haven’t tried a faux rotisserie chicken yet, It is on my list! Thank you for your enjoyable post. I got my Instant Pot to do canning, but then never made my strawberries into jam (due to having my 2 year old grandson and not feeling well). So it sat in the box for months. I was scared using it for the first time. I remember my mother warning about pressure cookers blowing up (which is why I never canned before). Then I saw a pulled pork recipe on the Instant Pot Facebook site using Root Beer. I always loved Root Beer and can’t drink carbonated drinks any more, so I thought I’d give it a try. Last night was the second time making it. I made a batch for myself and had leftovers. Then I got another batch finished just as my husband and son arrived home. I had taken out most of the Root Beer mix and added barbecue sauce and powder for them (another thing I can’t stomach any more). Hubby suggested I use more barbecue sauce next time. But they at it all up between them and said it was good. I look forward to making more recipes with it on a weekly basis. Thank you, Jacki! I remember hearing horror stories of the old time pressure cookers blowing up too! I’m happy to hear that you are enjoying it! I will have to try the root beer pulled pork recipe!